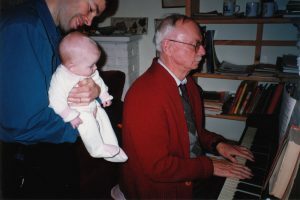 December 26, 1996 in London, Ontario: James Reaney at the piano with his granddaughter, Edie Reaney Chunn (age 3 months), and his son-in-law, Ian Chunn. 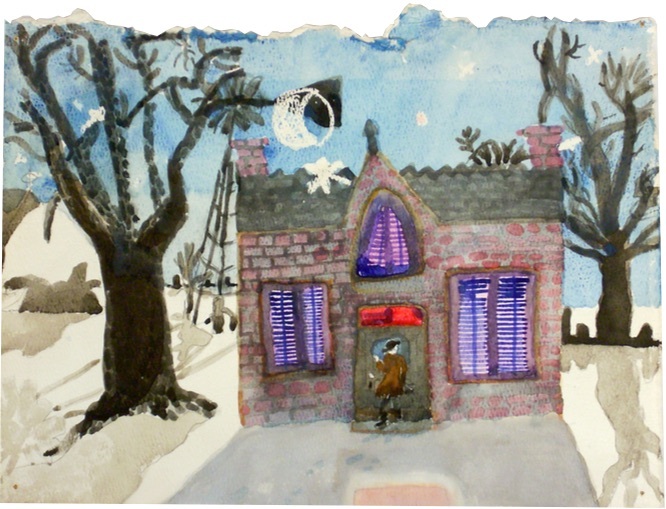 Photo by Wilma McCaig. 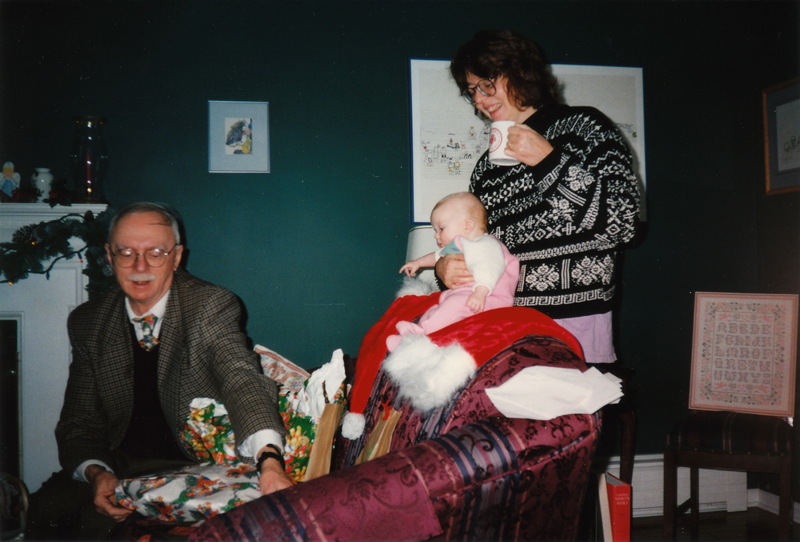 December 25, 1996 in London, Ontario: James Reaney with granddaughter Edie and daughter Susan Reaney. Photo by Wilma McCaig.